COHA is not accepting intern applications at the moment. 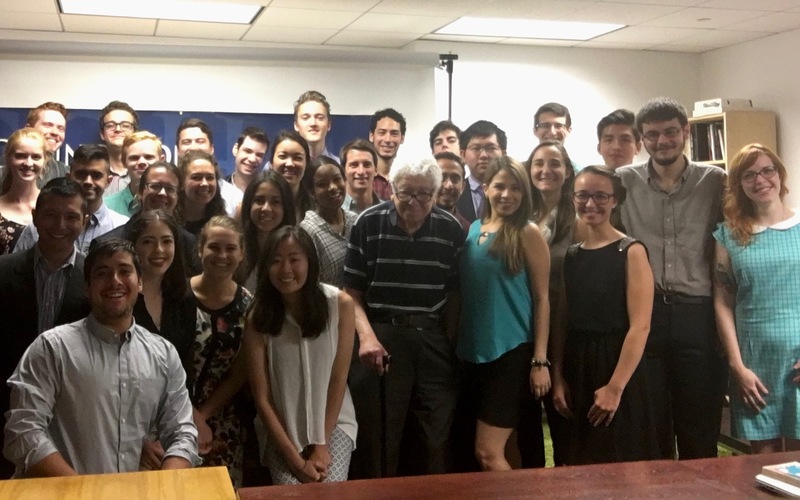 For more than 30 years, the Council on Hemispheric Affairs (COHA), a major tax-exempt, nonprofit, and nonpartisan national research and information organization, has offered internships in Washington, D.C. in the fields of U.S., Latin American, and Canadian relations. These internships provide practical, entry level experience regarding a variety of political, economic, diplomatic, and trade issues. They also provide young scholars with excellent exposure to the policy making process. COHA seeks highly qualified undergraduate and graduate students as well as those who have already earned degrees. During its existence, nearly 1,000 successful candidates have interned in COHA’s Washington office. COHA internships, which are available throughout the year, are entirely voluntary and are highly competitive (with summer positions being the most sought after). Interns play an integral role in COHA’s activities, which include the following: issuing statements and providing commentary to the print and electronic media; submitting articles on hemispheric issues to regional and national media; monitoring human rights and press freedom violations; promoting constructive U.S. policy initiatives; formulating viable alternatives that seek a diplomatic rather than a military solution to disputes; attending briefings by visiting Latin American dignitaries; and surveying legislation focused on social justice and the expansion of authentic democratic institutions. Before applying, please read the following: COHA’s Philosophy. Intern candidates should have some knowledge and/or interest in U.S.-Latin American affairs or international relations and should display impressive research and writing skills. Proficiency in Spanish or Portuguese is desired, though experience in journalism, English, or one of the social sciences may be substituted for the normal background requirements. Ideal internship candidates should be highly motivated and will be expected to show initiative and a capacity for innovation. COHA’s downtown Washington office is located in the Woodley Park/Adams Morgan area, a fast-paced and highly professional yet congenial area. Former interns have had their by-lined work published in various COHA publications as well as in the Congressional Record and the opinion pages of newspapers across the world including the New York Times, Boston Globe, Los Angeles Times, Christian Science Monitor, Washington Times, and many others (see our online citation page for examples). COHA internships are highly respected by the Washington policy-making community for their rigor and valuable learning experience. Former COHA interns have gained prominent positions in journalism, the Foreign Service, and congressional offices as well as admittance to some of the most professional schools in the country.